While there is a growing list of publications devoted to the AIDS epidemic, Africa, with two-thirds of the world's cases, still receives scant attention. This book may change the way we think about AIDS and how it is being addressed in Africa and the rest of the world. 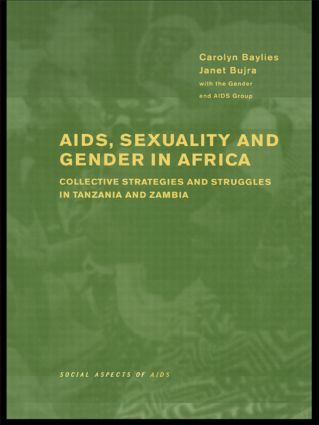 The book draws on first-hand research and in-depth investigations carried out by a team of researchers from Britain, Zambia and Tanzania, and focuses on the gendered aspect of the struggle against AIDS. The authors study the severity of the epidemic and the threat it poses to the population and society in Tanzania and Zambia. They argue that the success of strategies against the spread of AIDS in Africa rests on their recognition of existing gendered power relations and that this success might be enhanced if the strategies are built on existing organisational skills and practices, especially among women. Their conclusions have repercussions for all countries around the world, and especially the rest of Africa.